Internationally recognized, online "Certified Junior Project Manager (IAPM)" certification is the perfect first certification for project management novices, students or people who are interested in a future career in project management. It qualifies you to work in projects and is a persuasive argument in a job application. The certification fee also entitles you to take a preparatory test so that you can check your project management knowledge level and get valuable feedback on any gaps. The certification examination covers basic project management subjects. Candidates who pass the examination receive a certificate confirming their basic theoretical knowledge of project management. You can either prepare for the certification examination yourself using our Recommended Literature or take part in a Training Partner Workshop. The PM Guide 2.0 provides an overview of certification content. The examination covers both the hard facts and soft skills involved in project management. No proof of experience is necessary to obtain this level of certification. You can check your knowledge level with the “preparatory test“, which provides you with feedback on any gaps in your project management knowledge. It also gives you an idea of the kind of questions and level of difficulty you can expect in the examination. When you feel that you have an adequate knowledge level, you can register to take the Cer­ti­fi­cation Examination. Your registration details are checked by the IAPM. Then you are sent an e-mail invoice which you have to pay within 30 days. You can also request a certificate printed on high quality paper, which is subject to an extra charge. The certificate provides you with life-long proof of your theoretical project management knowledge. It is an advantage in job application processes and can help you to make career progress. What does the "Certified Junior Project Manager (IAPM)" certification cost? Who is "Certified Junior Project Manager (IAPM)" certification suitable for? 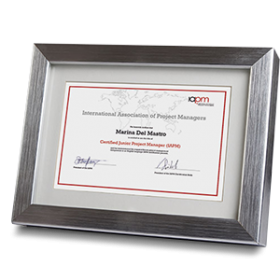 "Certified Junior Project Manager (IAPM)" certification is designed for project management novices, students, career entrants and career changers. No proof of professional experience is required for certification, which is why people who only have a theoretical background can also take the examination. What are the advantages of "Certified Junior Project Manager (IAPM)" certification for me? "Certified Junior Project Manager (IAPM)" certification confirms your theoretical project management knowledge, which includes knowledge on both soft skills and hard facts. Certification can tip the balance in your favour when you're looking for your first job after graduation or changing careers. It demonstrates that you have an interest in project management, which sets you apart from your rivals. As an IAPM certificate holder, you will also receive regular invitations to regional Network Meetings where you can meet other project managers and listen to interesting presentations. What does the preparatory test contain? The preparatory test reveals any gaps in your knowledge. It gives you an idea of what the certification examination is like and allows you to check your knowledge level. When you have completed the preparatory test you will receive an e-mail with information about your knowledge level and recommendations. If you don’t want to attend a workshop, you can also study for the examination yourself. The PM Guide 2.0 provides you with an overview of the topics covered in the certification examination. How extensive is the "Certified Junior Project Manager (IAPM)" certification examination? The certification examination has 40 questions and the candidate has to answer 65% of them correctly to pass. The time allowed is 35 minutes. You receive your examination results by e-mail. What do the preparatory test and certification examination cost? 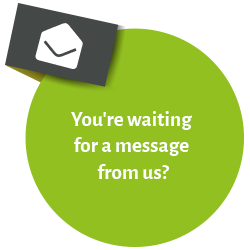 You’re very welcome to contact us if you would like us to answer any further questions about "Certified Junior Project Manager (IAPM)" certification.